It’s being talked about everywhere. If you live in an urban center, and even if you don’t, you’ve probably heard about it. You may hear it brought up around dinner tables and family functions or while you’re out with friends. You’ve heard its “inevitability” defended by various news outlets. Maybe you’ve even contemplated your own role in the rapid shifting of neighborhoods. 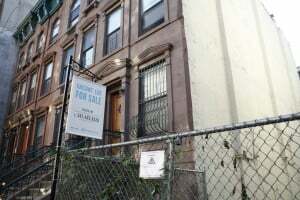 Gentrification isn’t a new issue by any means, but it has exploded in the past several years with rising rent costs, tech company startups, and eager college graduates. Just something that will go away if we stop talking about it? The idea that gentrification can’t be stopped is tiring and frustrating, but it comes from the fact that it’s such an overwhelming and rapidly expanding issue. It comes from the fact that gentrification benefits the most powerful and privileged. It comes from the fact that it stems from oppressive systems of capitalism and colonization. These arguments, in many ways, are history repeating itself. Below are three ways that gentrification mirrors colonization. Gentrification is seen as progress – it puts more housing and businesses in cities and generates revenue, makes cities safer, and so on. The shifting of neighborhood populations is economic and racial progress. As was the cleansing of land and the attempted genocide of Native people. In the 19th century, “Manifest Destiny” was the belief that white colonizers and pioneers were called upon the Divine to expand across the nation, building the New World and “civilizing” the original inhabitants of the land. This was progress at any and all costs – including ethnic cleansing and violent takeover of indigenous land across the Americas. Land once populated by native tribes was reduced to next-to-nothing in the quest to expand. No, modern-day gentrification and European colonization are not literally one and the same. To be clear, there are no horrors that can directly compare to the genocide, ethnic cleansing, and attempted cultural eradication experienced by Native peoples. What appears to outsiders as “progress” is actually harming the people and rich cultures that once existed before. For example, there is a recycling center in West Oakland where dozens of homeless and poor folks bring bottles and cardboard for cash – sometimes their only source of income. And because mostly newer residents have complained about the noise the center causes, it is closing – cutting jobs that folks have depended upon, and removing an important source of income for hundreds of others. Houses and condos on this same block are going for upwards of a million dollars in a neighborhood that historically has a median family income of $35,000. The mainstream narrative will continue painting a picture of “lazy and irresponsible” communities of color who couldn’t take care of their neighborhoods, while praising gentrification as the force that will save these cities and make them live up to their potential. Being priced out of homes in your own neighborhood is not progress, it is violence. Increased police presence and fatal shootings is not progress, it is violence. Gentrification, when explained only as progress, ignores the violence inflicted upon the mostly low-income communities of color that used to make up vibrant and diverse neighborhoods. Growing up half of my life in Lansing, MI and half in the Bay Area, CA, I’ve heard my fair share of warnings and misgivings about certain areas and even entire cities – the same ones that gentrifiers are now flocking to. And as a thirteen-year-old in Berkeley, I was told to avoid Oakland and Richmond at all costs. There are definitely parts of these cities I’m more mindful of and don’t venture into. Because I don’t belong there or understand them. Newcomers – many of them white and under thirty – either complain about how there’s “nothing,” and see these neighborhoods as a “blank canvas” or an opportunity to start anew. This mentality is rooted in colonialism as well. European colonizers were much more interested in shaping the land in their image than in creating a world where land was inhabitable and shared by all. However, the land was not a blank canvas; they made it so by doing all they could to violently eradicate whatever or whomever was there before. Gentrification at its worst doesn’t care about the people and culture that existed before. Many newcomers are invested only in what they can get out of where the live, not in what they can give to the already existing culture and community. And as painful as it may be, I include myself and many well-intentioned activists in these statements. In our decrying of gentrification, we often declare what the people of such-and-such neighborhood want and need, sometimes without being in conversation with the people most directly impacted by the new colonialism. While pushing back against the harmful changes that are hurting those we’re in solidarity with is important, we need to be careful not to use their stories as political platforms. We need to remember those that came before us and understand the differences between a “blank canvas” and canvases that have been wiped clean by colonialism. The same folks who warned me against venturing into certain inner cities would probably now say that it’s “getting better” and “safer” by the day. And actually, I can’t directly deny that these areas are safer in some ways – especially for those of us who are moving in. For me, the complexity and frustration of gentrification is that arguments supporting it aren’t entirely untrue – it’s that they are incomplete. It’s that the “truth” of land ownership is built on centuries of violence, enslavement, and control. European nations that suppressed and oppressed entire continents of people often saw their work as noble – and even God’s work. They were “saving the souls” of the native savages, and at the same time, making the land inhabitable for their own future generations. Today’s land developers and city politicians also claim to be creating a better, safer community through their work. To them, gentrification decreases the violence and crime rates and creates new opportunity – and shouldn’t the people who live there be grateful for these changes? But gentrification doesn’t eliminate violence and crime. It pushes the issues elsewhere, into places that only have value when the powers that be see fit. And the “safety” that it creates usually doesn’t benefit anyone but those who just arrived, or who can afford to stay and face the skyrocketing housing costs. Folks claiming to be invested in removing violence from communities do so in order to make places more livable to gentrifiers. They are not invested in healing the people in those communities. Healing doesn’t generate revenue. This sends the message that only white folks or those with money are deserving of safety, resources, and community investment. Again, the question is: Gentrification makes cities safer for whom – and what? One of the main reasons that gentrification is accepted as inevitable is because it is rooted in systems that we’ve been trained to normalize and see as commonplace. The stories that colonization and gentrification tell us are that land is property, and that low-income communities of color cannot care for the neighborhoods they’ve historically made up. And although these oppressive narratives are large, powerful, and seem impossible to overcome, it hasn’t stopped communities from pushing back against displacement and recreating the story. In Oakland, multiple groups of activists prevented the city from selling a piece of public land to develop high-rise condos rated at $3,500 a month. Drummers who’ve played at Lake Merritt for decades are rallying against racial profiling and noise complains from newer neighbors. Public forums are popping up across cities in efforts to preserve the arts and culture of neighborhoods. And as newcomers, we need to be aware of how histories of colonialism and land ownership are harmful to the new places we claim as “our” homes. As inevitable as gentrification may be described as, the fight for communities to preserve the best parts of their cities will continue – perhaps until we realize that land should have never been a commodity.